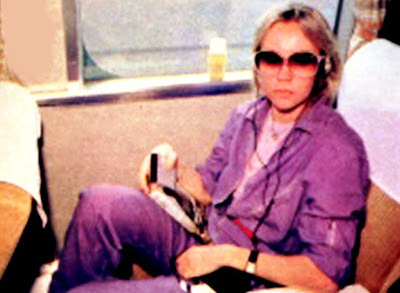 Agnetha is clueless and kept her eyes shut! 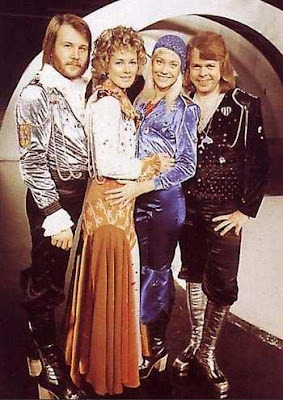 Bjorn is overweight and Benny seems to have pinched Frida while Agnetha is on all-smiles-mode. 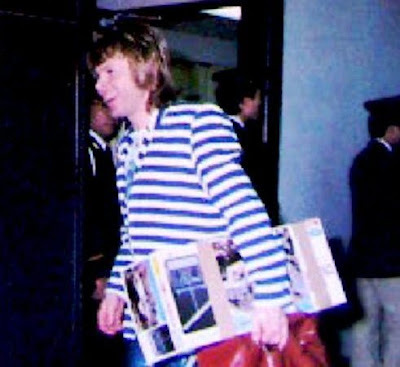 'I'm just a bit of a bore'... 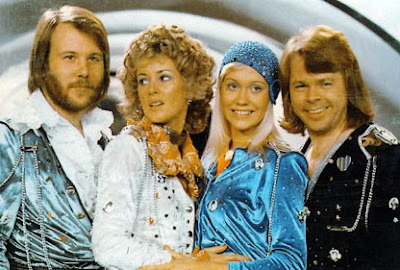 They all seem to be bored to tears! 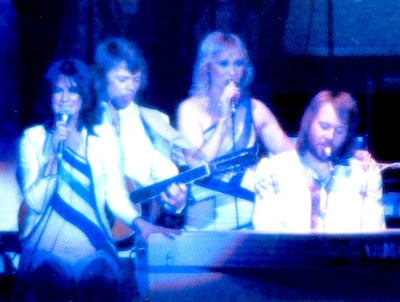 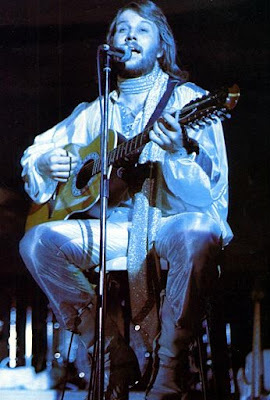 ABBA performing Thank You For The Music for The Movie in the summer of 1977. 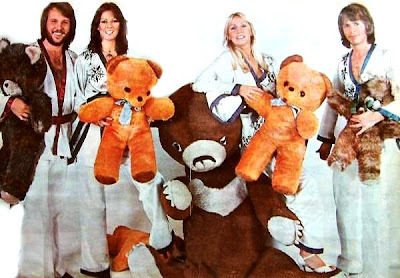 ABBA and some cute teddy bears posing together in 1976. 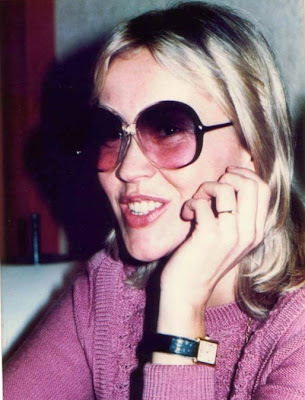 Frida in 1978 and Agnetha in 1980. 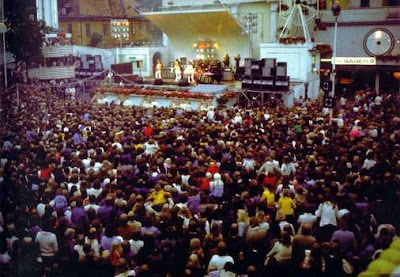 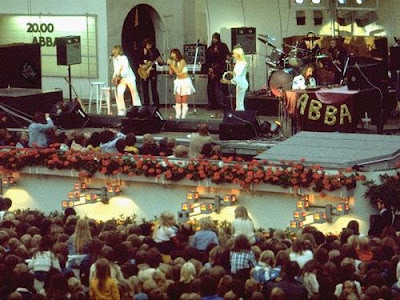 ABBA live on stage in a Swedish folkpark in the summer of 1975. 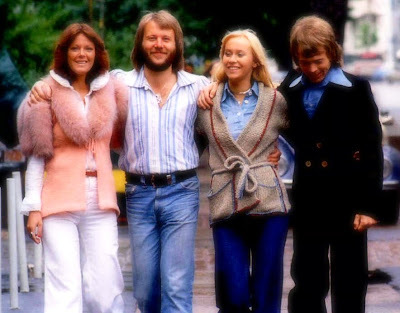 Two grumpy girls in big coats with two goofy guys in the autumn of 1976... yep... popsensation ABBA! 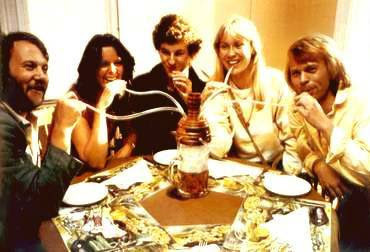 So what are they doing and who are they doing it with? 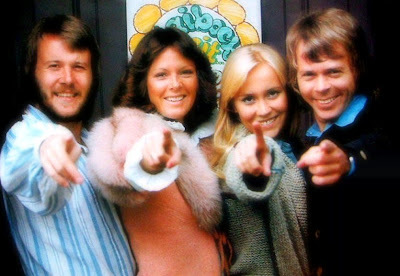 ABBA doing something with someone in 1979. 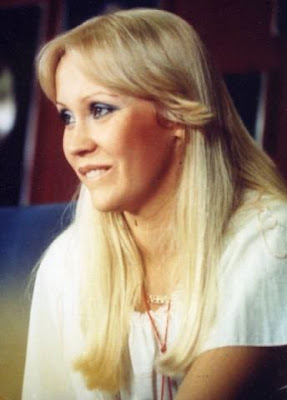 Agnetha and Frida during the press conference in Sydney (as seen in The Movie), February 28th 1977. 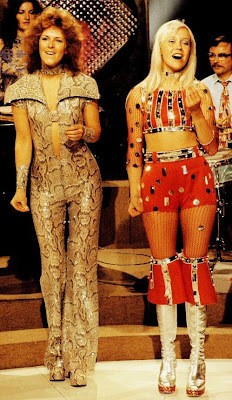 Frida and Agnetha letting the fans know the show is about to end during the 1979 tour. 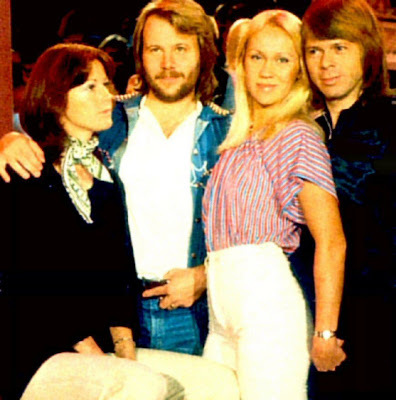 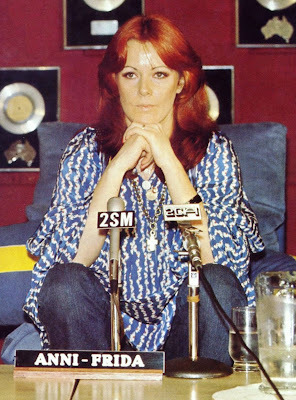 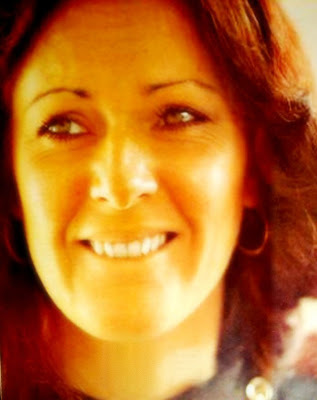 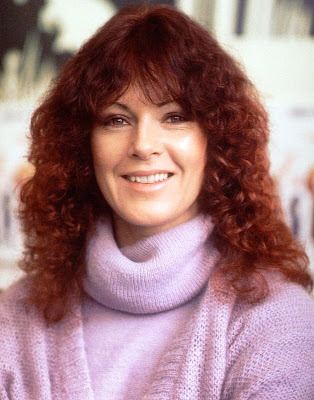 ABBA while working on the tv special ABBA D'abba Dooo in the summer of 1976. 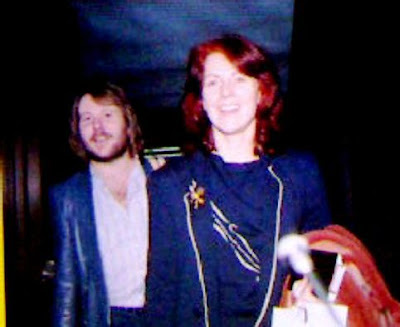 ABBA traveling through Japan in March 1980. 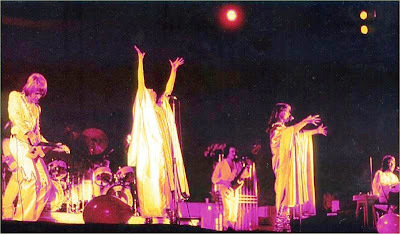 ABBA performing Tiger live on stage in 1977. 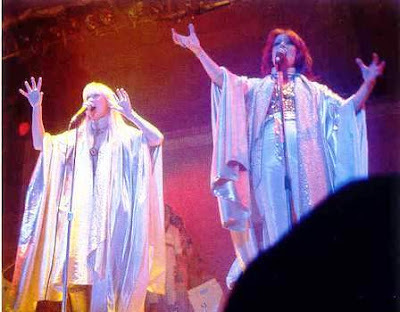 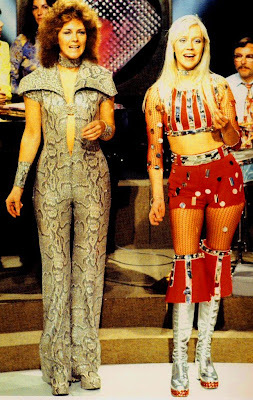 Frida and Agnetha in their tasteful costumes (ahem) while performing Waterloo on Belgian tv in May 1974. 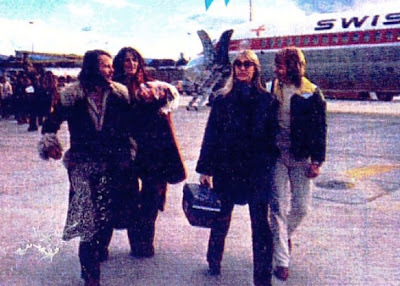 ABBA arriving in Switzerland to film a BBC television special in February 1979. 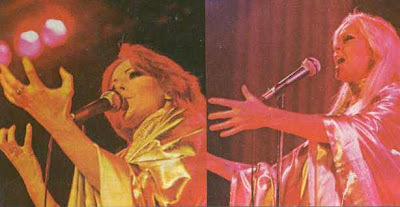 ABBA performing I Have A Dream while touring Japan in March 1980. 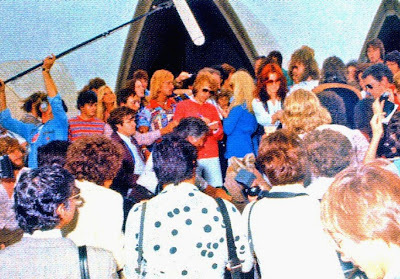 The band visiting the Sydney Opera for a photoshoot in March 1977. 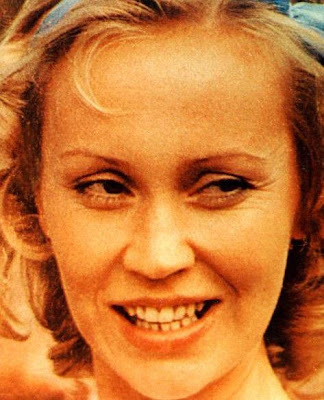 Frida in 1979 and Agnetha in 1982. 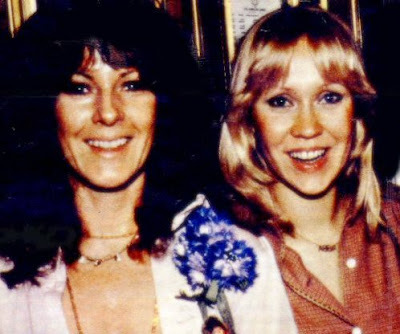 Frida and Agnetha at the UK premiere of ABBA The Movie, February 16th 1978. 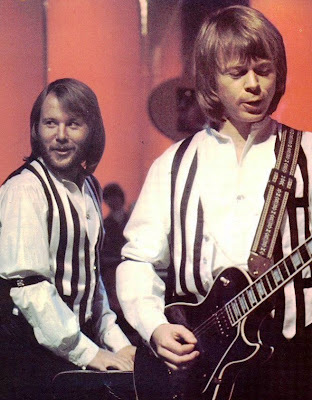 Benny and Bjorn during the performance of Money Moeny Money on the German tv show Disco, November 1976. 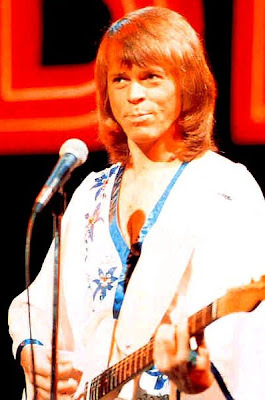 Just check out Benny (oh and don't forget the rest)! 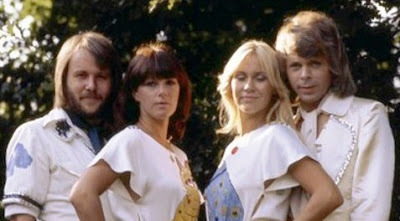 ABBA posing in Germany in May 1975. 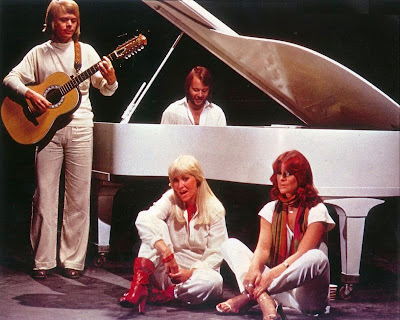 ABBA on stage in 1979: Bjorn is over and done with it, Agnetha wonders what the &*%^ is going on and Frida & Benny are there for the audience. 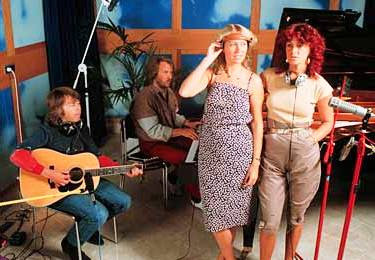 ABBA working on the forthcoming album The Visitors at the Polar studios in the summer of 1981. 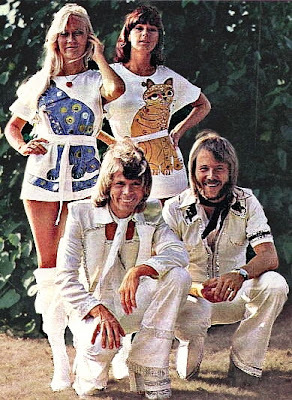 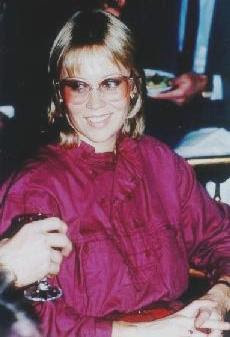 Agnetha in 1975, Bjorn in 1976 and Benny & Frida both in 1977.